Heavy rains and clogged pipes can lead to a sewage backup in the areas around Charleston and Summerville. Sewage can overflow back into your home or business with little warning, leaving you to deal with sewage water damage and a foul odor that can quickly creep through your property. You can get the help you need to handle a sewage water backup by contacting the pros at 911 Restoration of Charleston today. Our sewage cleanup crew can reach your property within 45 minutes of an emergency call to begin providing you with same day services. The sewage restoration techs at 911 Restoration of Charleston take toilet water damage very seriously. We understand that a sewage spill can be hard on your peace of mind, so techs will immediately take over and begin the sewage cleanup process. Let us repair leaking or burst pipes in your home or business. Techs will remove sewage water and any odors associated with the sewage spill. You can get your property back into the perfect shape you deserve after a sewage overflow by contacting 911 Restoration of Charleston today. Sewage water backups should be handled quickly for the best results. Sewage water can begin causing serious damage in only a matter of hours. Your home or business is not equipped to deal with the destructive power of water, so contact a professional sewage cleanup company immediately. Toilet water damage can introduce dangerous contaminants into your home or business. Bacteria and other pathogens that are contained in human waste can escape into your property, leading to health issues and the spread of dangerous molds. 911 Restoration of Charleston can use professional-grade cleaning products and techniques to quickly resolve this issue to give you back your peace of mind after a sewage spill. Our experience as a water cleanup company allows us to extract all evidence of moisture from your property after a sewage backup. 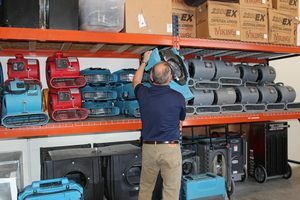 Our techs use water pumps, dehumidifiers, fans, air movers, and more to get every ounce of sewage water out of your home or business. Let us focus on your sewage restoration needs today, so you can move forward with your life. You deserve a Fresh Start and a totally repaired and renovated property after you experience sewage water damage. 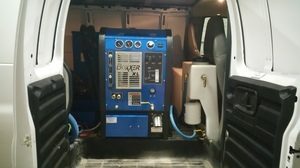 Our techs have the equipment and training to handle all aspects of sewage restoration. We can take on large and small instances of sewage water damage to get you back on your feet again quickly. You can contact us if you experience a sewage backup in your home or your business and you will get the same level of dedicated support. Here at 911 Restoration of Charleston, your well-being and peace of mind are always our primary concern after a sewage spill. 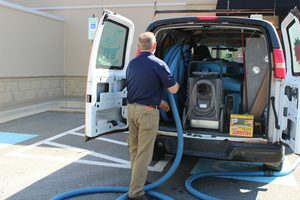 Let us remove sewage and completely disinfect your property in Charleston or Summerville, so you do not have to worry about foul odors or dangerous bacteria. You can get the help you need to recover from a sewage spill with a single phone call. Let us restore your property to better-than-new condition right now.